As a way to celebrate the end of summer and squeeze in a short vacation, Adam and I took a road trip to Chicago and then spent a couple of days playing in Wisconsin Dells. Oddly enough, this was our first road trip together that was longer than 3 hours. The Museum of Science and Industry was hosting the Mythbusters exhibit until Labor Day. Being the nerds that we are, we had to go. We had been keeping an eye on airline prices all summer and finally decided to make a road trip out of it. Our only reason for going to Chicago was to see this exhibit. 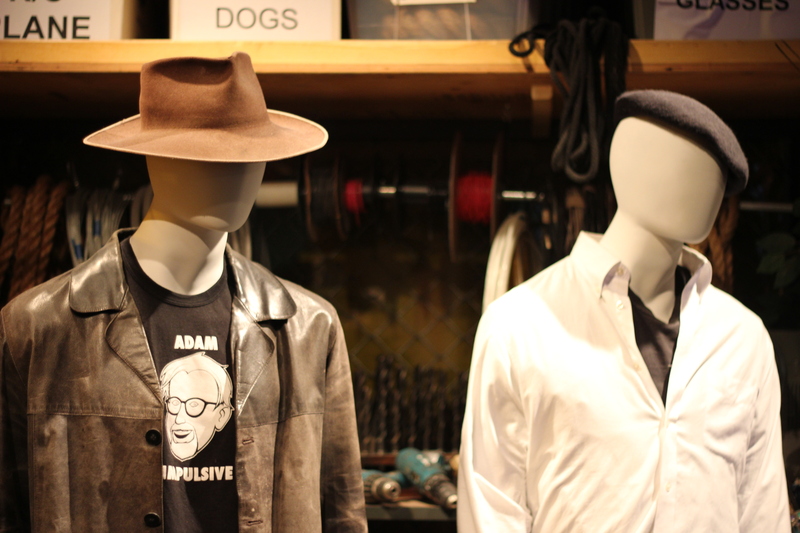 The exhibit was full of Mythbusters artifacts from the show. It was so much fun to see the contraptions Adam, Jamie, Tory, Kari and Grant had made in the show, and see signs (damage) from their tests. The exhibit also had a ton of hands-on tests and experiments to replicate from the Mythbusters show. We got the chance to test if toast is more likely to land butter-side down or up, if you stay drier running or walking in the rain, if you can dodge a bullet, if you can hang from the edge of a building, and if you can drive blind. We also got to see a scale model of Airplane on a Conveyor Belt. Adam was incredibly excited to see the robot shark used during Shark Week a few years back (actually we both were). I wasn’t able to change into a superhero’s outfit in a telephone booth very quickly, but I certainly look the part, don’t you think? After our day at the museum, we hit the road back to Wisconsin to spend a few days at the waterpark before school was back in session for me.